The current games industry scene in Germany is thriving at the moment and this is giving video game job hunters a huge opportunity to land a job at one of hundreds of games studios in the European powerhouse. Germany is one of the most important markets for computer and video games worldwide, and no other European country generates higher sales with games and the associated hardware. Berlin, Frankfurt and Hamburg are the main games hubs in the country, with Dusseldorf and Mainz also excelling due to the presence of Ubisoft. 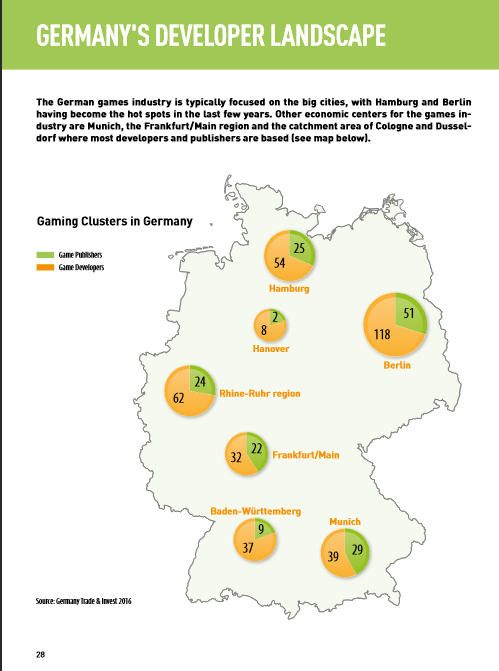 The number of Jobs in Gaming is growing week on week and Germany should be viewed as a hugely viable location to relocate to due to the number of opportunities. Organisations such as Gamecity:Hamburg are helping game studios to grow with Government support and the network has over 2,000 participants in the scheme. The German games industry as a whole, employs over 12,000 people who are directly involved in the making of games. Germany is also home to Gamescom which is the biggest annual event for computer and video games in the world, with 350,000 people visiting the event in Cologne every year. Germany is characterised by a high quality of life in a safe, open-minded and modern country. Its landscape and culture, the comprehensive healthcare provision as well as the leisure and sports opportunities are just a few of the reasons why seven million people have made Germany their adopted home. We wanted to give you the low down on German game studios that GamesJobsDirect.com works with so that you can explore opportunities. Softgames based in Berlin, the European creative capital, are a major player in Messenger Games. They are a HTML5 games pioneer and have over 500 million users, the studio often looks for HTML5 developers and has also recently launched a studio in Toronto, Canada. Softgames utilise a flat hierarchy and offer loads of training to their employees. Wooga is one of the main providers of story-driven games and consistently looks for new writers to help drive new ideas. They have a team of over 200 people and their employees come from over 20 different countries. Working at Wooga will get your own education allowance, the opportunity to learn the German language, relocation packages and a host of parties throughout the year. Yager Developments is one of Germanys premier studios, creating AAA action experiences for a worldwide audience. Yager was formed in 1999 and employs more than 90 people at their Berlin game studio. Kolibri games is a rapidly expanding German mobile games studio that was launched in February 2016, under the name Fluffy Fairy Games. In 2018, they had a rebrand as Kolibri and have grown ever since. This highly scalable mobile company believes in learning and will fully commit to helping you develop. On top of that they offer flexible working, share options and healthy snacks to keep you engaged. Staramba are a fast-growing VR tech company based out of Berlin that are set to take the Virtual Reality community by storm having moved into 3D avatars, sports, music and entertainment. Their team of over 100 people come from more than 30 countries and has seen big growth since their launch in 2014. InnoGames is one of the major successes of the German Games Industry, with more than 400 employees from over 30 countries in their studios in Hamburg and Dusseldorf. Tribal Wars was their first success and the browser game has been at the forefront of browser titles that lead the way for a number of free to play mobile titles. InnoGames are showing 500% growth in the mobile gaming market, with Forges Empire proving a huge success. Inno offers a fantastic solid career path and is a great place for people looking for a start in the games industry. 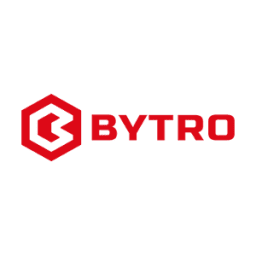 Bytro are the makers of high-quality strategy games and they are located in the St Pauli district of Hamburg. Call of War and Conflict of Nations are two of their more high-profile titles. Founded 10 years ago, they now have over 40 members of staff from around the world and continue to grow. 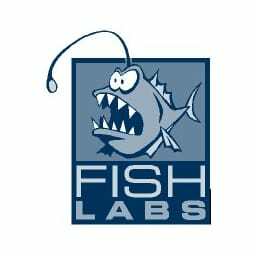 DS Fishlabs are part of the Deep Silver / Koch Media family and have been creating high end 3D games for over 12 years. They create on a wide range of platforms including console, mobile, TV and Nintendo switch. DS Fishlabs have over 80 employees at their Hamburg base and have worked on notable games such as Saints Row and Dead Island survivors. The benefits of working at Deep Silver Fishlabs includes subsidised transport, regular team events, a gym membership subsidy and food and drink options. Bigpoint specialised in Free to Play games on desktop and on mobile. The award-winning developer has around 350 employees mainly located in Hamburg, but also at a site in Berlin and a site in Malta too. Bigpoint’s stable of games include the world's most popular free space MMO DarkOrbit Reloaded and Farmerama. Communication at the office is mainly in English, but the company provides German and English lessons. The studio offers a variety of fresh fruit and coffee, fitness subsidies, Thursday drink and beer happy hour, team budgets for education and travel subsidy. RCP are one of Europe's biggest developer families, comprising of a number of studios including Aesir Interactive, Chimera Entertainment and Big Blue Studios amongst others. Remote Control work on games for a number of partners including Rovio, Tivola and Deepsilver. Travian Games are one of Germany’s leading PC games companies, their successful titles include Travian Legends and Rail Nation. A motivated team of over 200 employees develop and market online entertainment for all age groups. The company also acts as a publisher for external developers. Benefits of working at Travian include regular training and development, a company bistro, profit share options, gym subsidy, child care help and regular company events. Megazebra have a kickass team of around 50 members of staff working from studios in Munich and more recently in Montreal, Canada. Megazebra has worked on a number of social games such as Desperate Housewives and Mahjong Trials. A flat hierarchy empowers the staff to make decisions and participate on an even keel. Fruit bowls and well stocked refrigerators are refilled daily. Crytek is a video games developer, publisher and software provider. As well as producing games such as Hunt: Showdown, the Crysis Series and Farcry, the team at Crytek also produce well known games engine Cryengine. Crytek have studios in Frankfurt, Istanbul and Kiev and offer a range of benefits to their employees including training and development, public transport pass, gym memberships, language courses and events. Deck13 Interactive is one of Germanys most established game studios having shipped over 20 titles following its formation in 2001. The studio employs over 60 people from their Frankfurt base and is responsible for games such as Lords of the Fallen. The studio started off building adventure games and have found success in the RPG market. Founded in 2014, Treasurehunt is a mobile gaming studio developing games such as Pet Paradise and Boomie Blast. The leadership team came from huge mobile studios such as EA, King, Zynga and Rovio and the majority of games they make are aimed at the multiplayer market. The team enjoy regular company events, a training and development budget, German classes, Friday beers and free breakfast cereals and fruit. id Software is part of the huge Zenimax Media family and since 1991 has worked on a number of legendary games such as Wolfenstein, Quake, Doom and Rage from its studios in Frankfurt and Dallas. The Frankfurt office focusses on the idTech engine for the Doom games. Gameforge is one of the successes of the German Games Industry having gained over 450 million registered users from over 20 online games. Gameforge was formed in 2002 when they released their first hit Ogame and since then the company has gone from strength to strength with a number of successful MMOG and RPG’s including AION, Tera, Metin2 and Soulworker. Perks of working for Gameforge include free breakfasts and lunch, massages and health days, company events, parent child work rooms and sabbaticals for a greater work-life balance. The studio also offers a shared flat for new starters moving to the area. 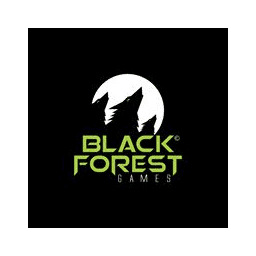 Black Forest Games was started in 2012 and had built a thriving studio of over 60 employees. BFG’s most popular recent titles include innovative platformers such as Giana Sisters: Twisted Dreams and Rogue Stormers. Their latest announced project is Fade To Silence, a one-of-a-kind survival-adventure in a unique open-world setting. BFG became part of THQNordic in 2017. Ubisoft Blue Byte is one of Germanies leading game studios with 3 separate locations in Berlin, Mainz and Dusseldorf. They create some of the world’s best-known PC strategy games including hits like the Settlers and the Anno Series. As expected of one of the world’s leading gaming companies their benefits are fantastic and include cycle lease and loan, relocation help, subsidised lunches, free fruit, flexible hours, regular team events and training and development.